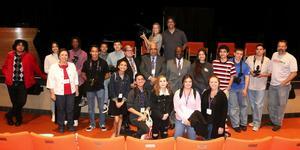 On March 15, 2019, over one hundred Theatre students from surrounding high schools participated in CSUSB high school theatre festival. The festival has students present monologues and scenes to professors from the university in hopes of receiving a placement. 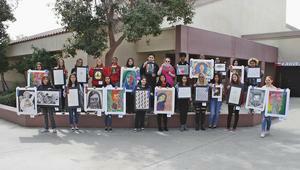 Thirty-one creative visual artists from Valley View High School in Moreno Valley had their work exhibited at the 73rd Annual National Date Festival and Riverside County Fair in Indio during the weeks of February 15th-24th 2019. Valley View students garnered thirty-eight 1st place blue ribbon awards, seven 2nd place awards, and 3 best of class awards in a variety of two and three dimensional media classes including ceramics, pencil, pen and ink, charcoal, oil pastel, watercolor, collage, mixed media, sculpture, and photography. Arts education activists, parents, students, teachers, and district administrators from around California came together in Palm Springs for the Arts Now Riverside County Summit on Wednesday. Recently, art students from teacher Elvira Zink’s classes at Canyon Springs High School participated in the Youth Art Month (YAM) competition at the Vanguard Art Gallery. YAM is a statewide art competition that is held by the California Art Education Association in conjunction with the National Art Education Association. A few took home regional honors in the Inland Empire. Elementary Arts held their second Art Show of the year with student work from the trimester two elementary schools, including Armada, Bear Valley, Chaparral Hills, Hidden Springs, Serrano, and TownGate. Congratulations to Valley View High School Theater Program under the direction of Jeanine Lopez! 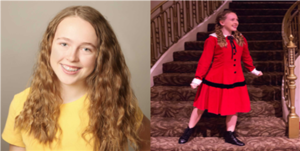 Amory (Amy) Martin a 9th grade student at Valley View High School is performing as “Annie” in the musical of the same name. 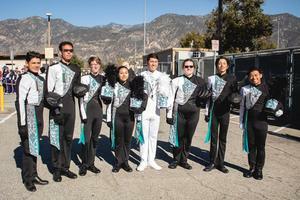 Students and alumni from Moreno Valley Unified School District represented the district on January 1 by participating with Pacific Crest Drum and Bugle Corps during the 130th Rose Parade in Pasadena.